Click the title links below to start the show. Pictures of the Western Pacific Railroad between 1950 and 1990 going around the Big Bend in The Feather River. See the March 2017 newsletter for an article related to these slides and life on the other side of the of the river at Big Bend by Jim Lekas! The Banner Mine, founded in 1852, was the first really financially successful mining operation in Butte County. This 12- minute video offers a glimpse into early hard rock mining in Butte County. 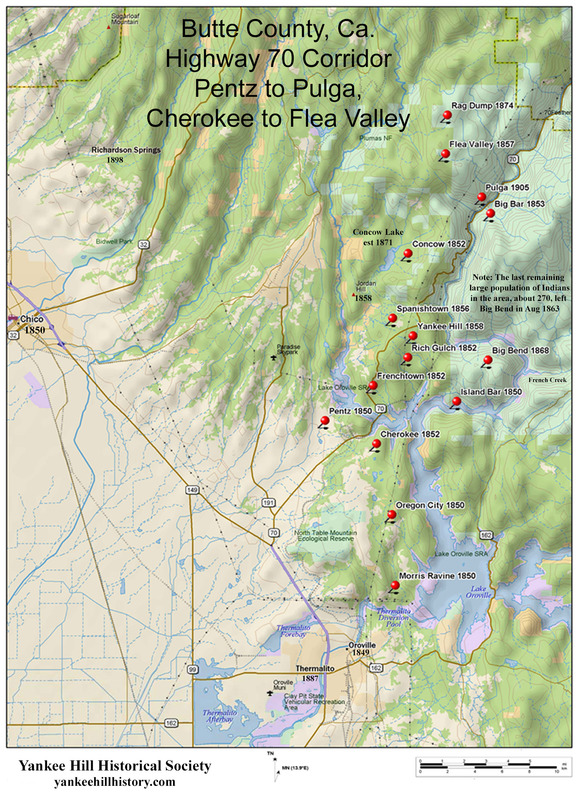 Cherokee and the Concow Valley’s early history is linked by the need for water to support hydraulic mining operations. This slide show tells the story.